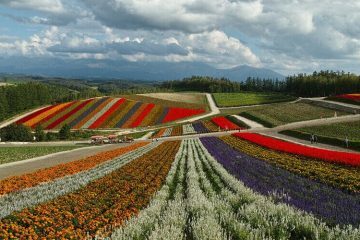 Speaking of joy in a trip toHokkaido, gouremet is one of the pleasure which cannot be exclude. 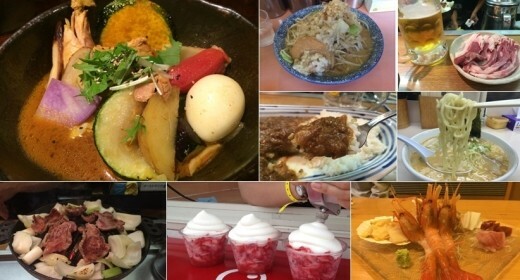 There are lots of foods like fresh seafood, ramen noodle, Mongolian mutton barbecue and sweets in Hokkaido. 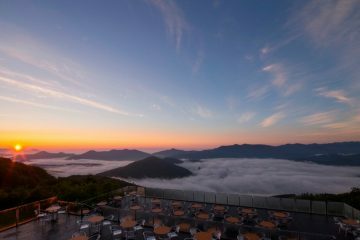 The most popular city in Hokkaido is Sapporo;many famous restaurants in Sapporo are introduced in guide books. 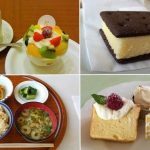 However don’t you think you want to know some restaurants which are popular among local people in Sapporo? And also, isn’t it amazing if you can make a boast of a restaurant which you experienced to your friends? 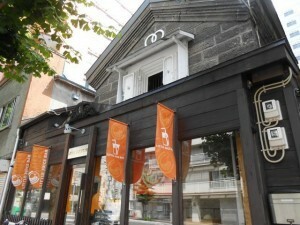 The followings are some restaurants which are popular among local people in Sapporo. People in Sapporo say “please try it by no means if you visit Sapporo.” After you read this article, you are already Sapporo expert! 1. Soup Curry makes you satisfied by the look and taste. 2. 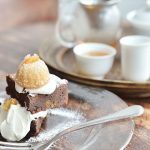 Lamb cuisine;you may not know! You should try “Soup Curry” if you visit Sapporo. You will be surprised so many soup curry restaurants are located in this city. 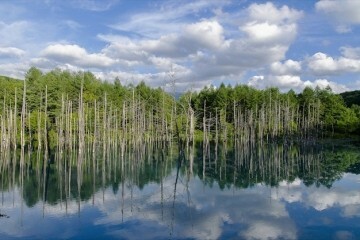 Our recommendation to you is “Okushiba Shouten, Sapporo head quarter”. 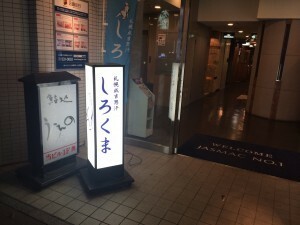 It’s located in the basement near JR Sapporo Station. Although the location is difficult to get, many guests are always in a long line. The atmosphere of the restrant is ethnic,and you can see the chef skillfully cooking the soup curry from the counter seat. 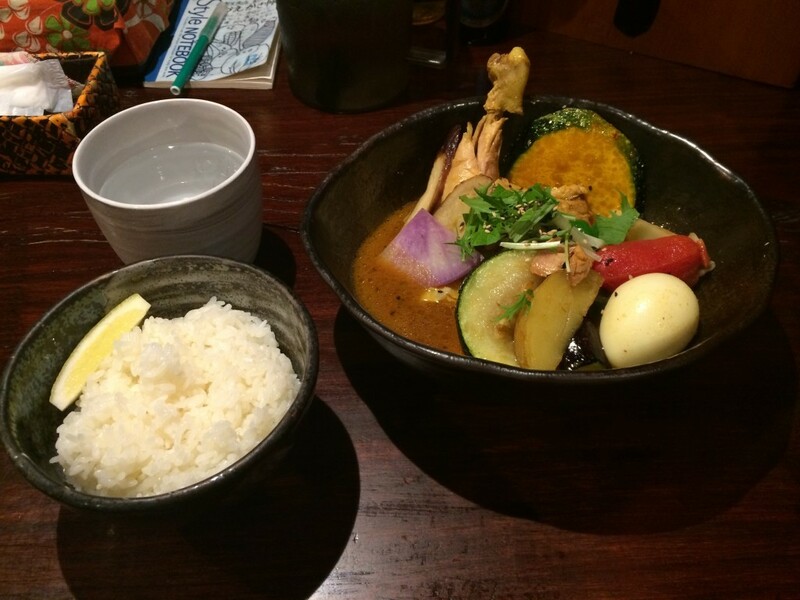 “Soft chicken leg and vegetable curry”, 1,210 Yen tax included. A big stewed chicken and vegetables, it’s to die for. Waiting time would be fun with open kitchen. 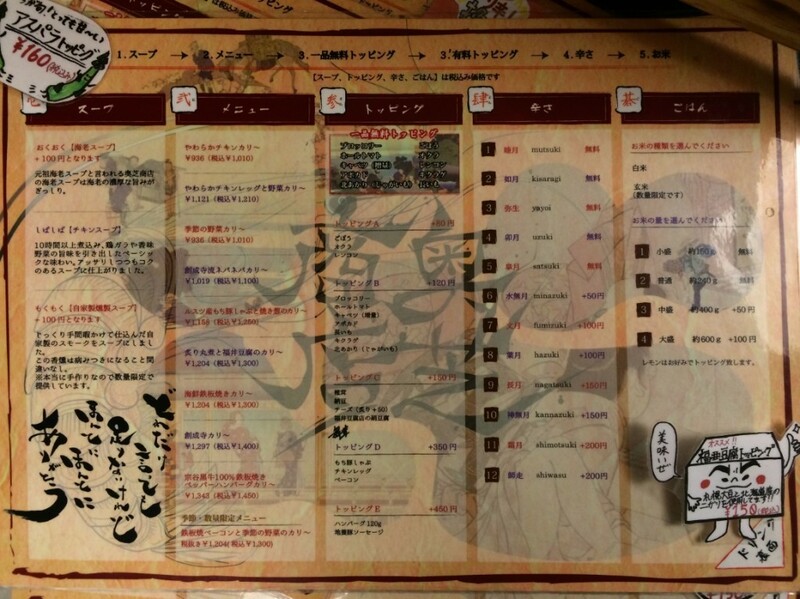 You can select soup, toppings, spice levels, and size of rice from left to right on the menu. We recommend “Oku Oku soup” which has shrimp flavor with big cut ingredients in it. 2.Lamb cuisine;you may not know! 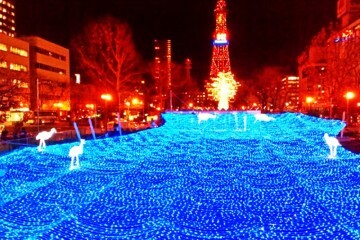 Many people in Sapporo enjoy it and you can’t enjoy it in main land Honshu in Japan. 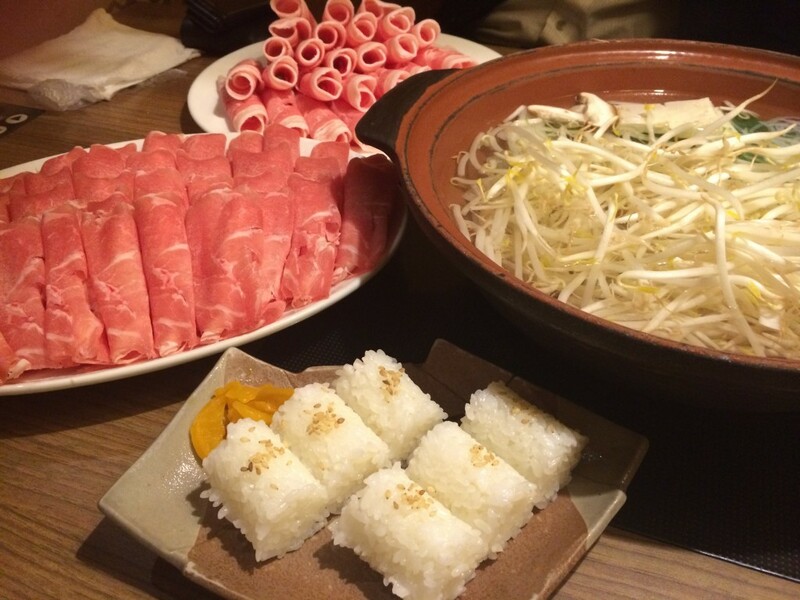 We would like you to know “Hokkai Shabu Shabu” which is thin slices of lamb parboiled in hot soup. You can parboid pinkcolored sliced lamb meat in the hot soup,then dipped in the secret sauce. The tast is light, so that you can enjoy many slices! The meat is healthy and not oily, so that is popular among female guests. 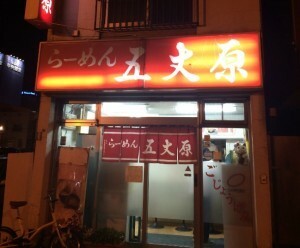 “The basic menu is“All eat you can” basis and aside from lamb meat, they offer pork slices, soy bean curds, noodles made from devil’s tongue starch, rice balls and ramen noodles. All eat you can in two hours, drinks are included. 4,900 Yen tax included. 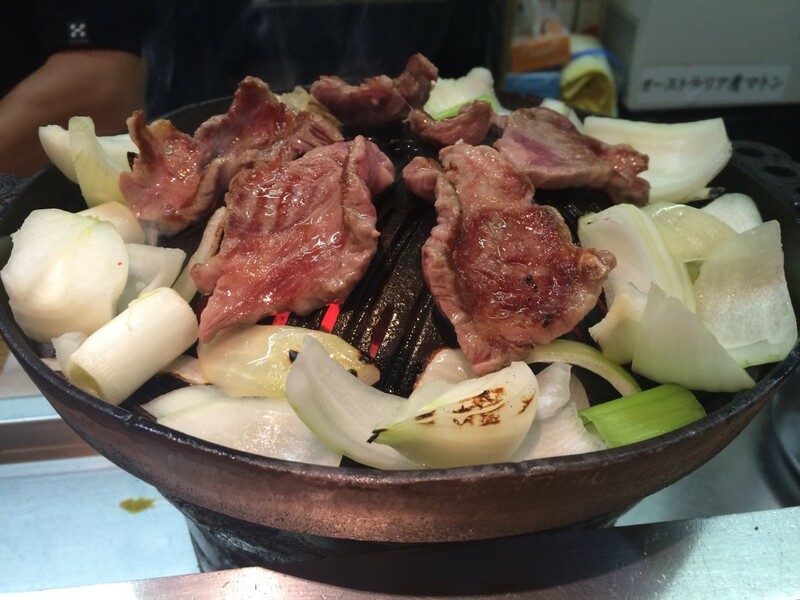 Mongolian mutton barbecue is a regional food in Hokkaido. You can enjoy eating at the big table,　but if you really want to feel the real taste, eating at the counter seat is recommend. “Shirokuma”　is famous among local people. The lamb meat has no smell and so healthy, and they are delivered with chilled, not frozen. The cook cut the meat in front of you. Once grilled it, oil comes out, then try one bite with thickened sauce! The best recommendation is lamb curry. 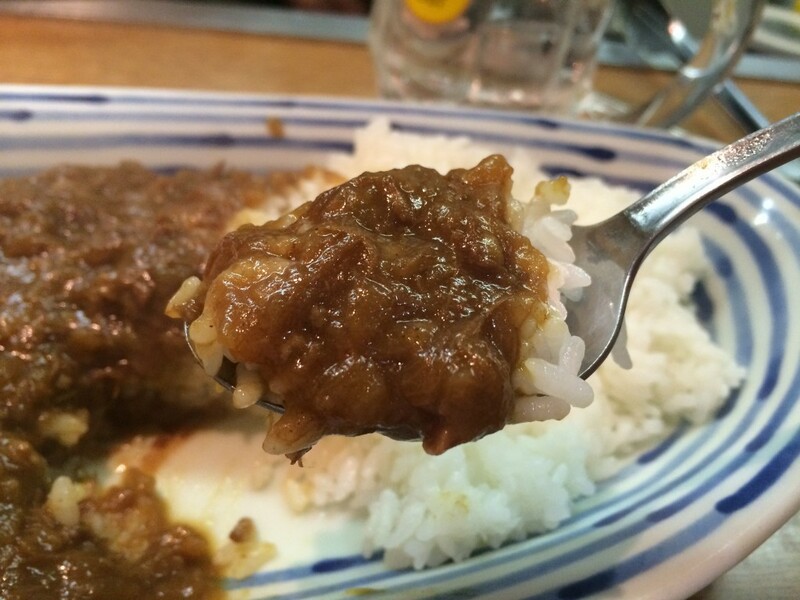 The meats are almost melted in the curry paste, and you can’t moving stop your spoon. You should try it. Beside from the most basic and reasonable lamb／mutton from Australia, they also have Japanese lamb and Ireland lamb. You can always be satisfied with their variety of fresh lamb. The price is rarely fluctuated, but most of the time, Australian lambis 790yen, and Australian mutton is 640yen for 1 person. 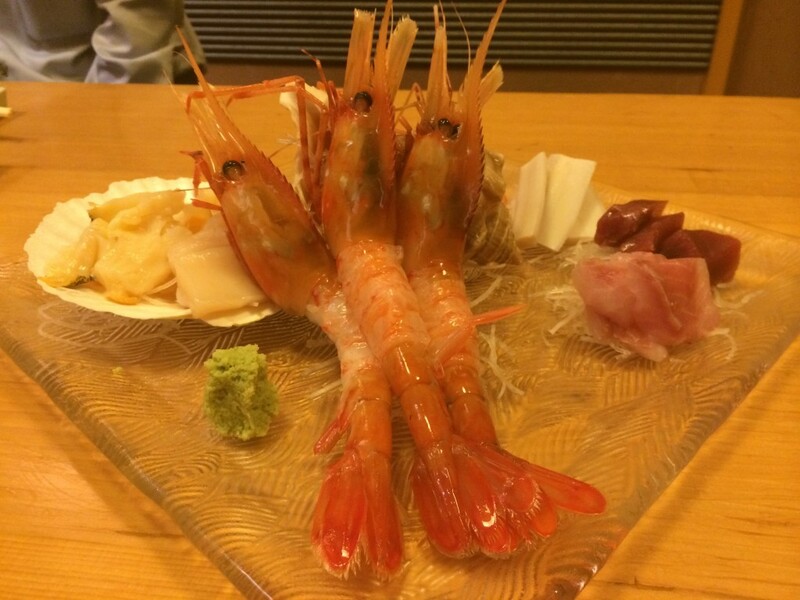 If you want to have gorgeous moment with fresh seafood, our recommendation is “Sawada” near JR Sapporo station. They present gorgeous seafood plate. The main dish is big sized Botan Shrimp(Sweet shrimp) Sashimi (2,980yen ／ 2 for I person) , the more you chew, the tastier is becomes. Shell of the shrimp will be served as Tempura. 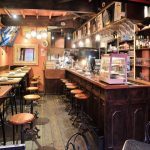 The secret of this popular restaurant is not only the quality of food, but also the great service and friendliness of the manager. The restaurant also has many kinds of Japanese wines. Please try some of them if you come to Sapporo. ≪Store Hours≫17：00 to 24：00, Mon thru Sat. 11：00 to 20：00, Sat and Sun. 5. 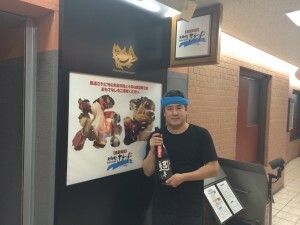 Ramen King in Hokkaido! Beginning with “Ramen Jiro”, a fad for big size ramen was sweeping Japan. 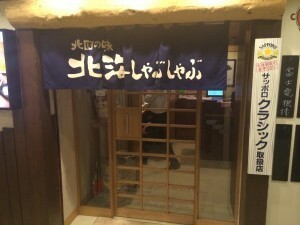 “Ramen Jiro” is famous for extremely large portion of ramen, and “Buta King” is one of the ramen shop inspired by “Ramen Jiro”. 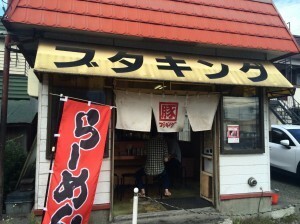 Unlike other inspired ramen shops, “Buta King” is famous for “Miso ramen” which is the most popular flavoer in Sapporo. You will see many people in a long line in front of the shop at lunch time. Average weight of noodles is 150g per order for the ordinary ramen but “Buta King”’s ramen weight is 240g. What a big size! 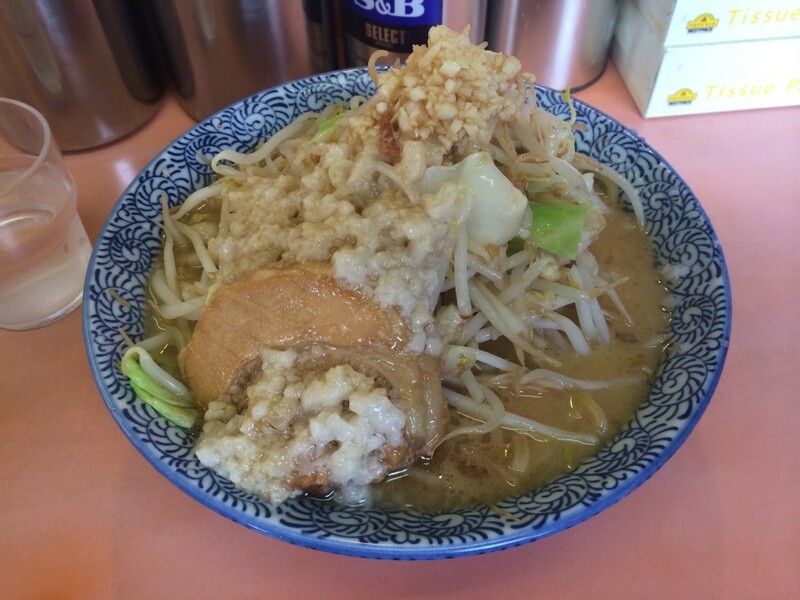 On top of ramen noodle, bean sprouts, slices of cabbage and pork back fat are also served with big size. You can add more with free if you want! 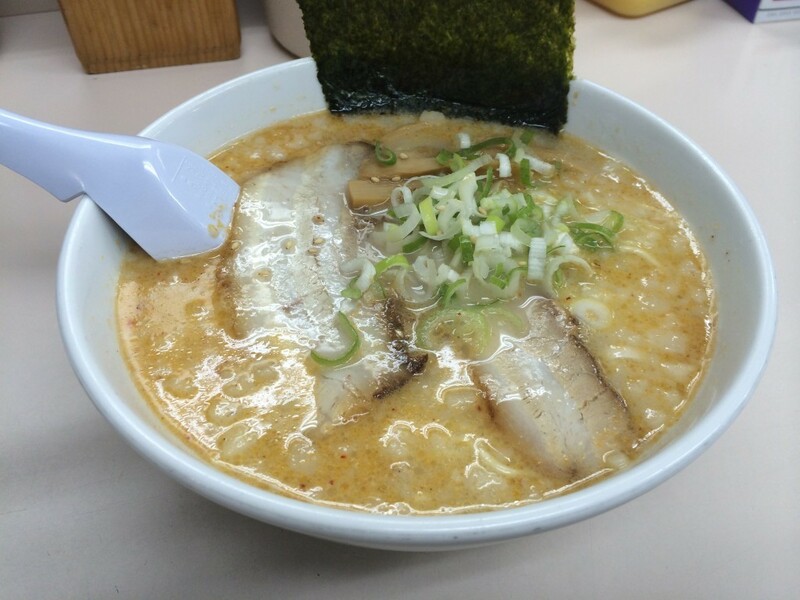 The photo shows ordinary ramen, added pork back fat, 750 Yen. Very thick noodle makes you so surprised and difficult to reach noodles since vegetables topping are quite thick. The shop is proud of the roasted pork fillet. It’s so soft and melts in your mouth. 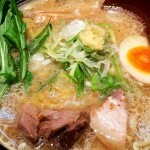 If you got tired of ordinary Sapporo ramen and are interested in a big size ramen, please challenge it. *Kindly remind you to get your stomach ready for that! 6. The ramen and roasted pork fillet in rice ball are to die for. 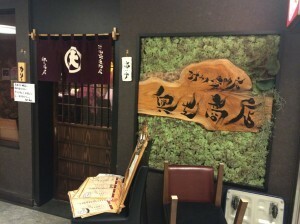 “Gojogen” is quietly located in front of the famous ramen shop “Ebi soba Ichigen”. As its name suggests, “pork bone” and “salt” are got together. The soup is a bit salty and it has pork back fat. However it is not too heavy and leaves a pleasant aftertaste. With this ramen, please try the shop’s specialty,”roasted pork fillet in rice ball”, double sized of ordinary rice ball at convenience store. The taste of roasted pork soaks into the rice. It’s excellent with the pork and salt ramen. Sapporo city is referred to as a sweets battleground in Hokkaido. 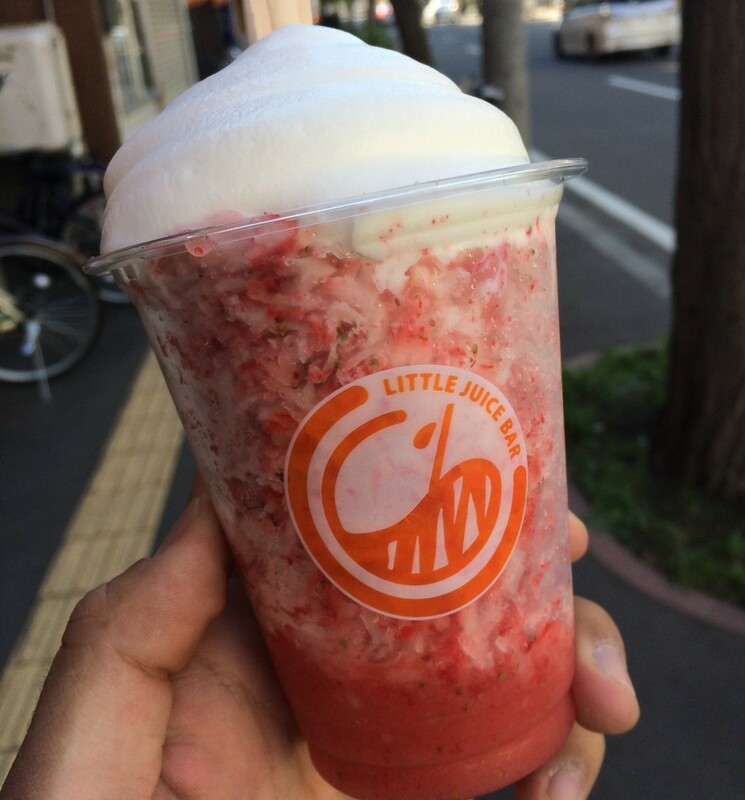 Our recommendation this time is “Ichigo Kezuri, 500 Yen at Little Juice Bar, Sapporo main store.” It looks like shaved ice, but frozen strawberries into chipped ice. Condensed milk is topped on it. The strawberry is good enough refined sourness and the condensed milk cream is light on the sweetness, they are best matching. The texture of the strawberry is addictive. They open a store at autumn fiesta in Sapporo Odori and summer fiesta in Hokkaido. However the size is small, so we recommend you to dine in at second floor of the main store. Take out is also available. 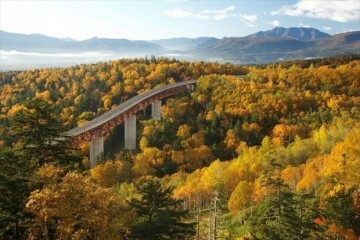 ≪Access≫5min walk from Hosuisusukino station, subway Touhou line.